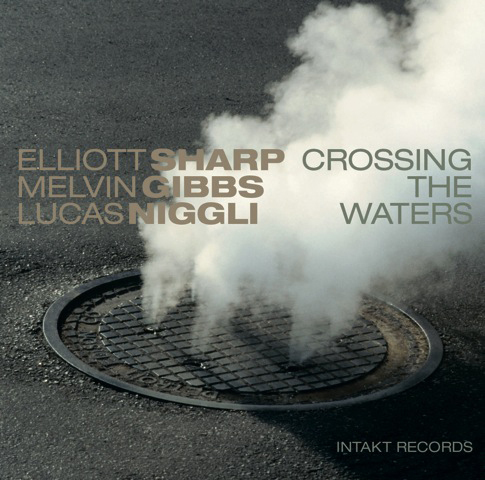 Music by Elliott Sharp, Melvin Gibbs and Lucas Niggli. Recorded March 2012 at Trout Recording Studio, Brooklyn, NY. Engineer: Bryce Goggin. Mixed and mastered by Elliott Sharp at Studio zOaR, NYC. Cover art: Roman Signer. Graphic design: Jonas Schoder. Liner notes: Christian Rentsch. Am zweiwöchigen Intakt-Festivals in John Zorns Club The Stone im New Yorker East Village fand die Premiere statt: Elliott Sharp-Melvin Gibbs-Lucas Niggli – drei Musiker mit verschiedensten Hintergründen und Biografien, aber mit einem klaren gemeinsamen Ziel: Instant Composing mit Hochdruck, wo Elliott Sharps Blues, Melvin Gibbs Funk und Lucas Nigglis Drive zusammenfinden, um eine aktuelle Musik zu kreieren. Nach dem Konzert nahm das Trio im Trout Recording Studio in Brooklyn die CD «Crossing the Waters» auf: Hinreissende Exkurse in abenteuerliche Klanglandschaften auf der Basis von Blues, Rock und Free. 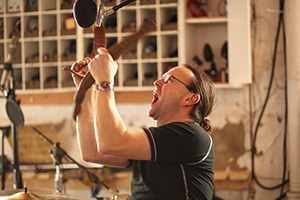 ﻿During the two-weeks festival by Intakt Records at John Zorn's club The Stone in New York's East Village, Sharp-Gibbs-Niggli performed for the first time. 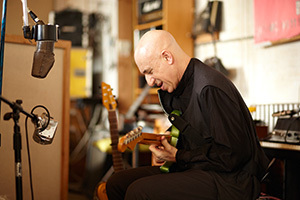 Three musicians with diverse backgrounds and biographies, but a very clear common goal: instant composing with hypertension, where Elliott Sharp's blues, Melvin Gibb's funk and Lucas Niggli's drive found perfectly together to celebrate an unique music with no borders, lots of colours and massiv energy. On the very day after the three musicians went for to a brooklyn-studio and recorded the CD "Crossing the Waters". Excursions in the adventurous tonal landscapes based on blues, rock and free music.